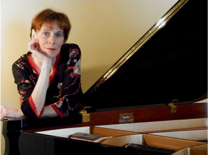 The pianist, born in Bonn, studied at the universities of music in Cologne and Hamburg and was trained by Ingeborg Schmidt (master class Claudio Arrau). She finished her studies with a degree in music. 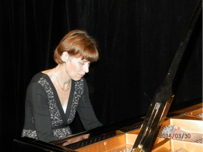 She is used to playing the piano at international events and concerts and also for the German embassies in Paris and Brussels. From her work with children she developed the composition Spielfigturen (Play-Figures), published by Tonger. Besides that, she accompanies singers and vocalists and since 1995, she works also as a conductor performing sacred music.